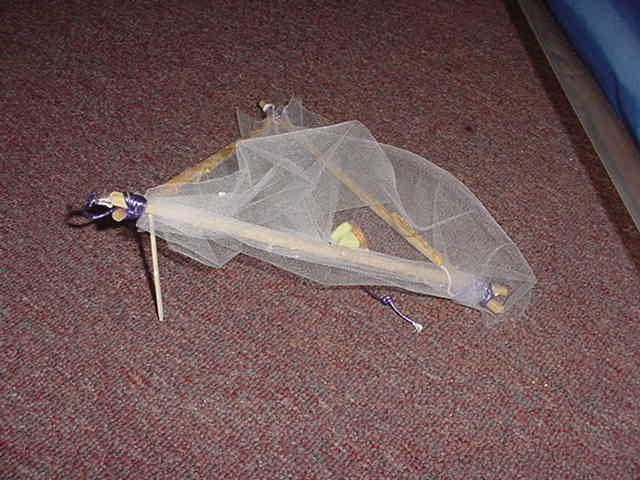 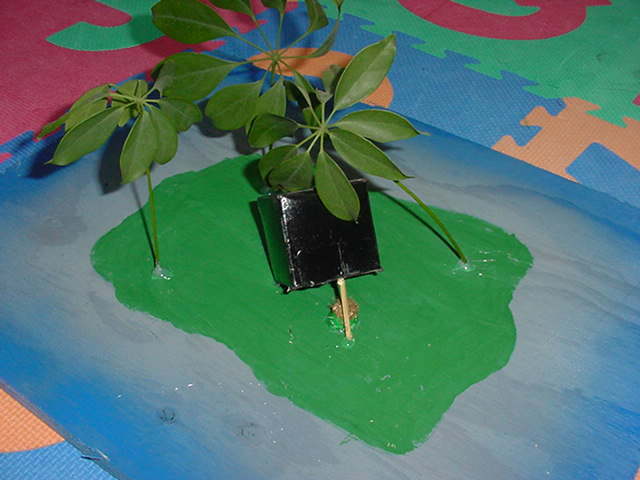 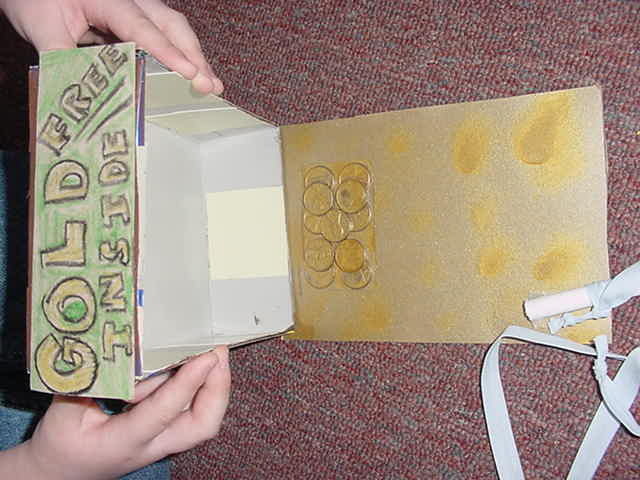 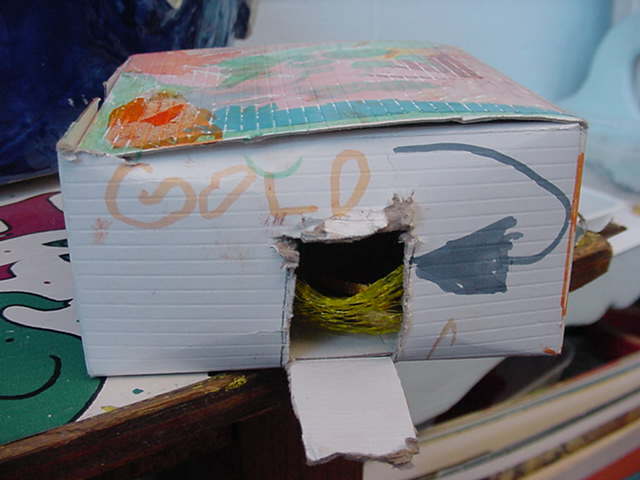 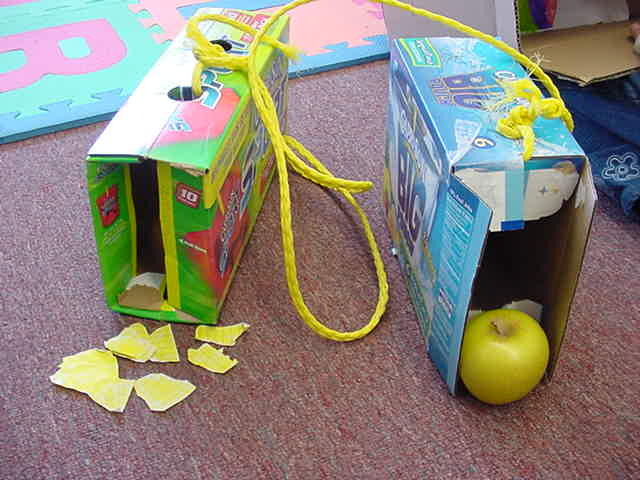 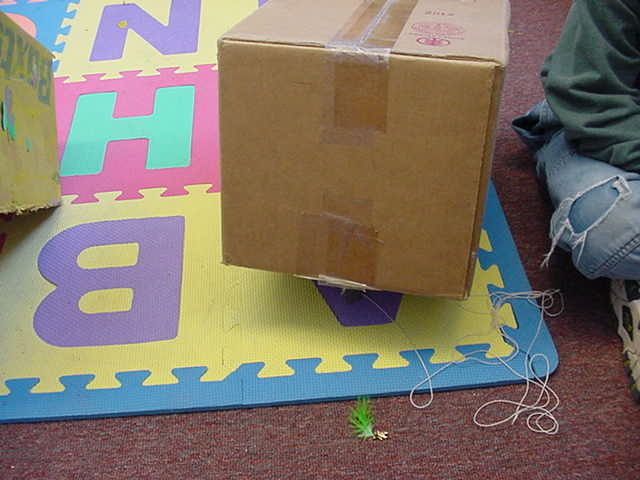 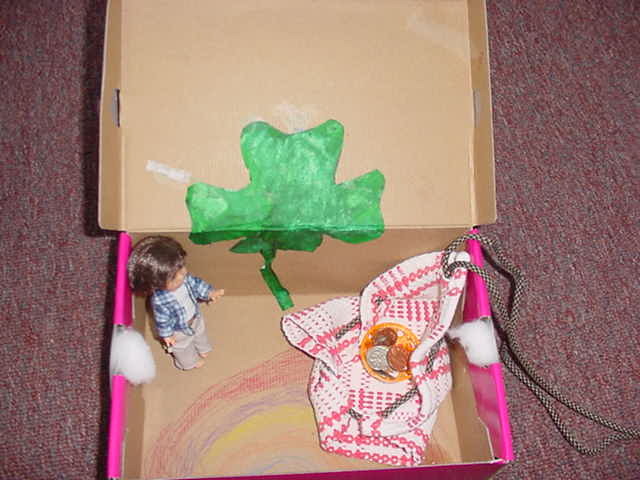 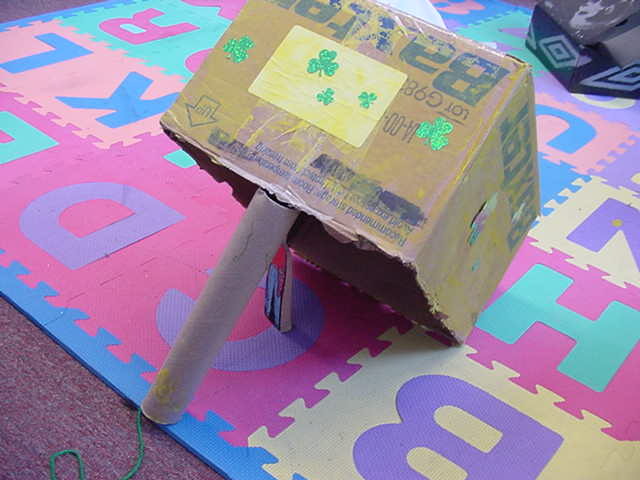 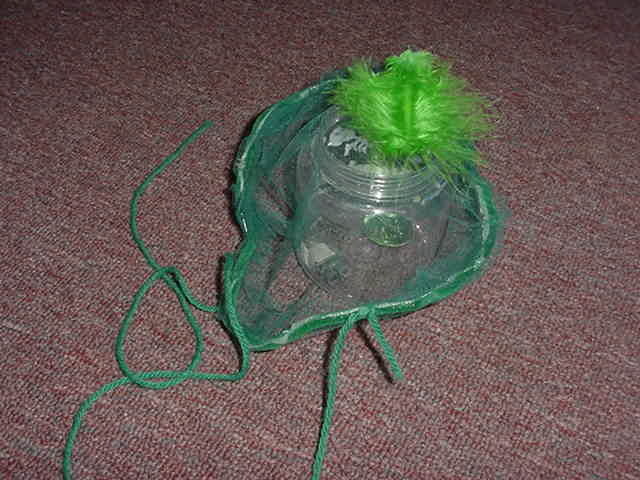 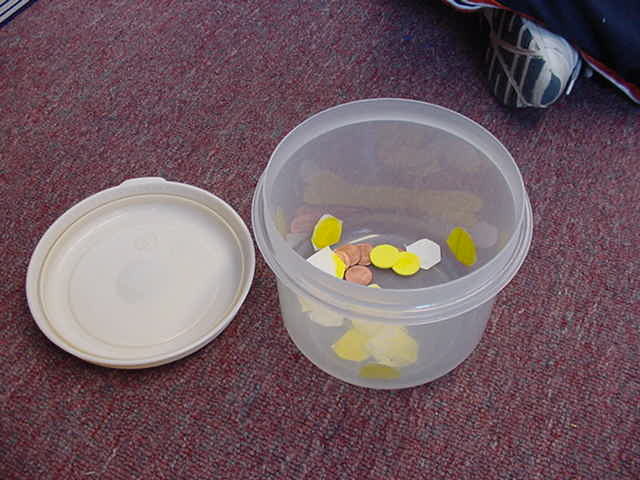 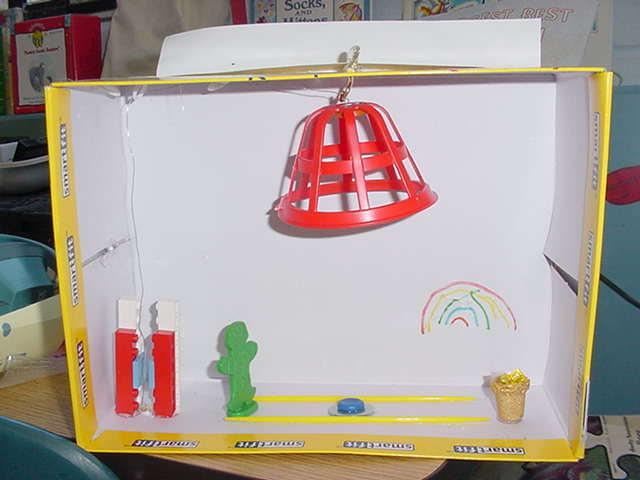 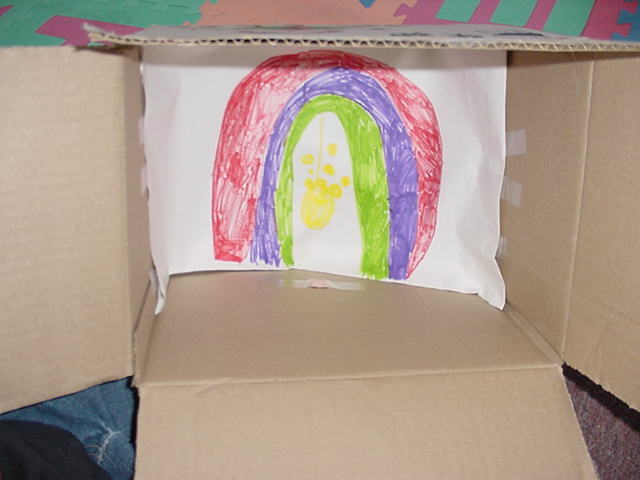 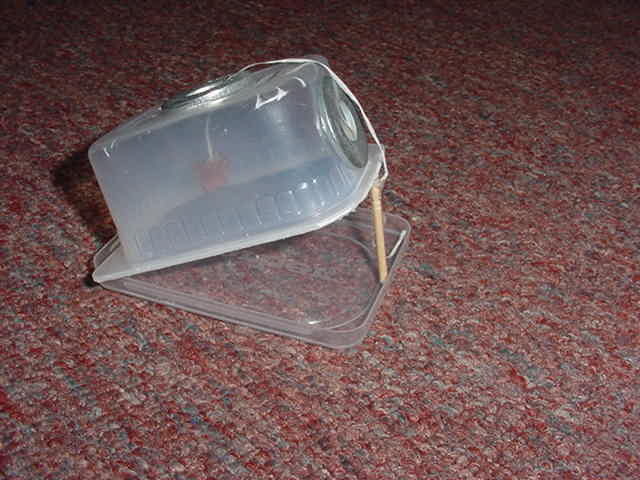 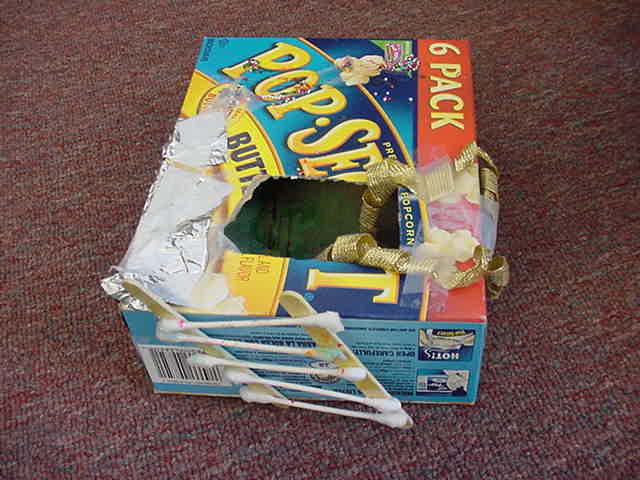 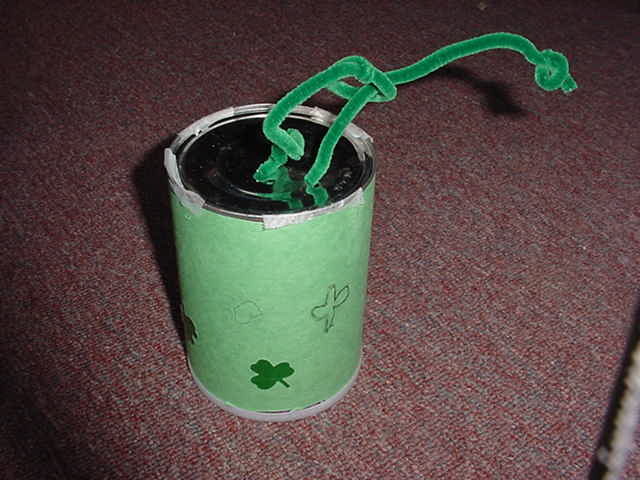 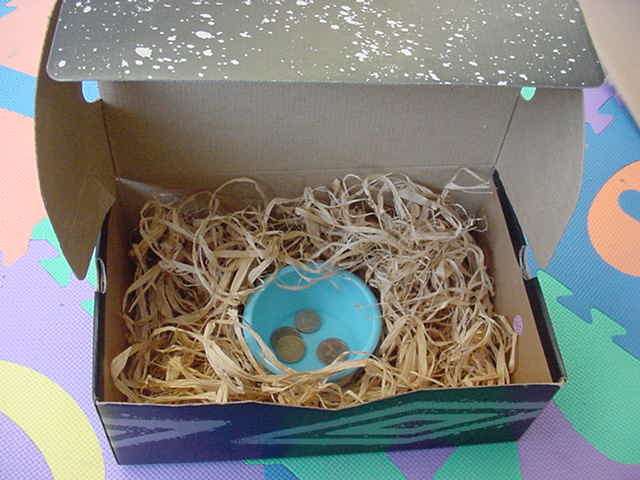 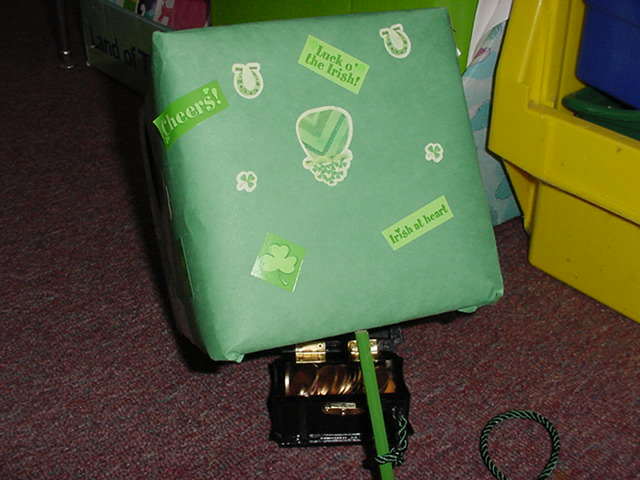 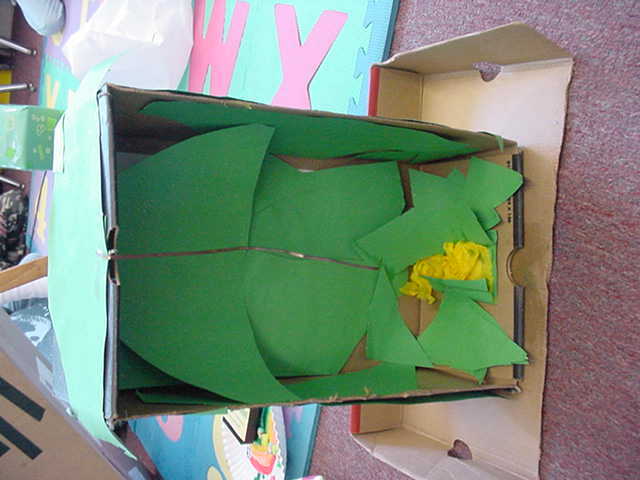 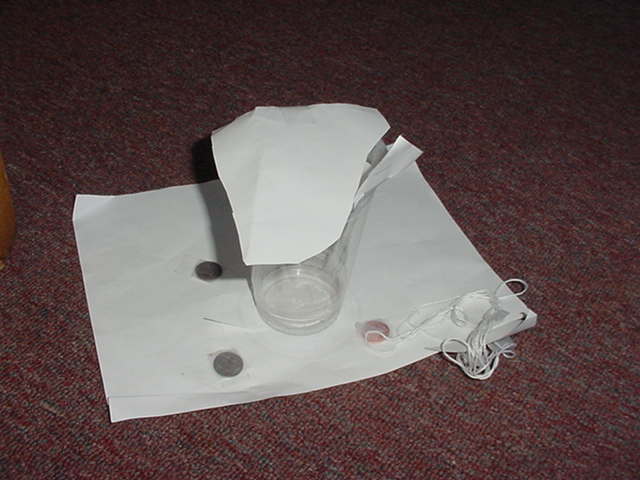 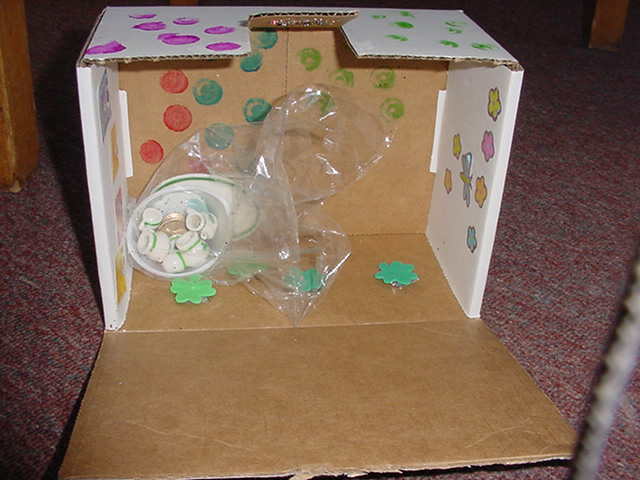 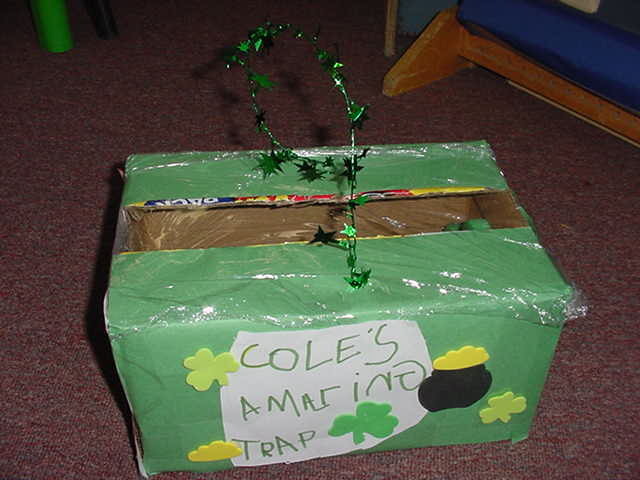 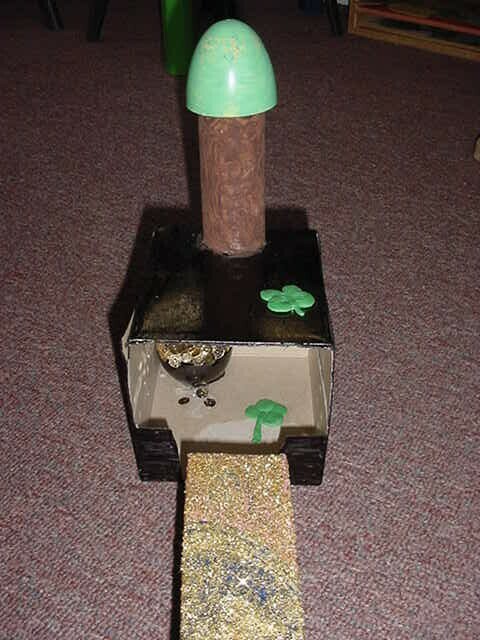 On St. Patrick's Day the children constructed traps to set around the classroom in hopes of luring and catching a Leprechaun. 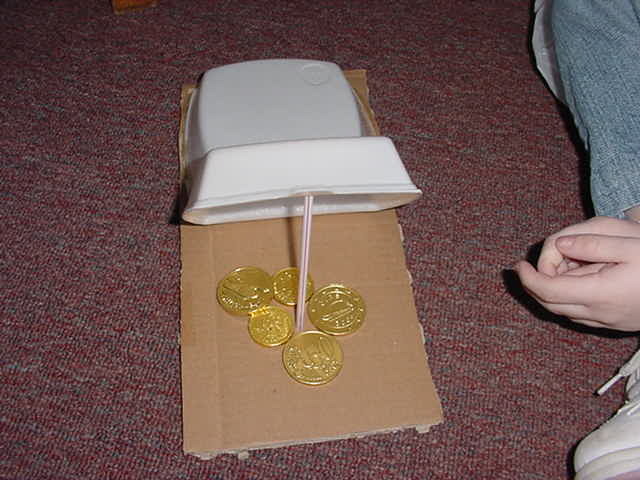 These are the contraptions that they set. 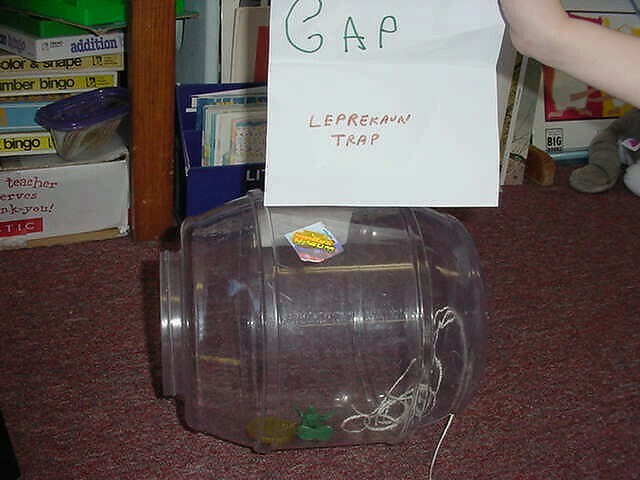 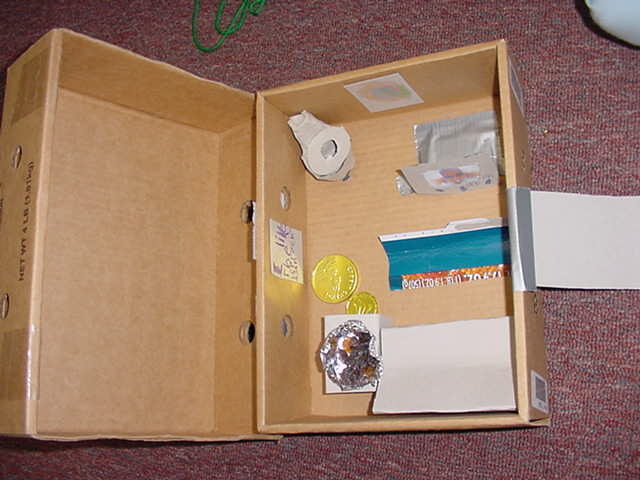 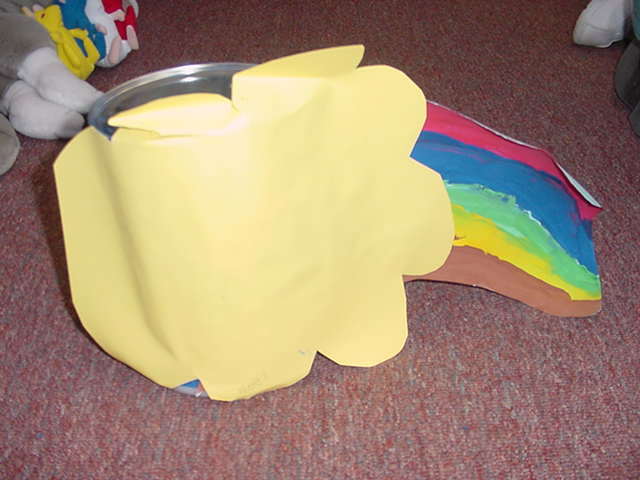 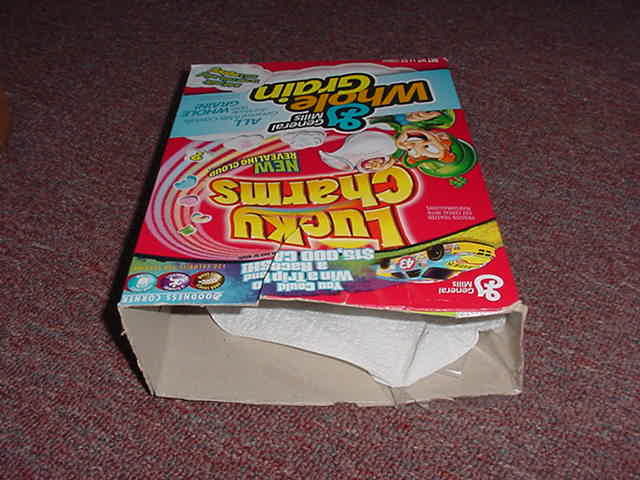 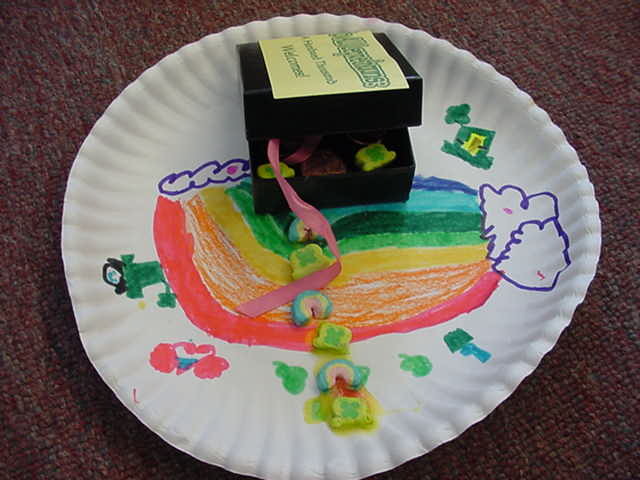 No Leprechauns were caught, however, as the Leprechaun was among the traps he dropped a piece of Gold near the trap in his haste! 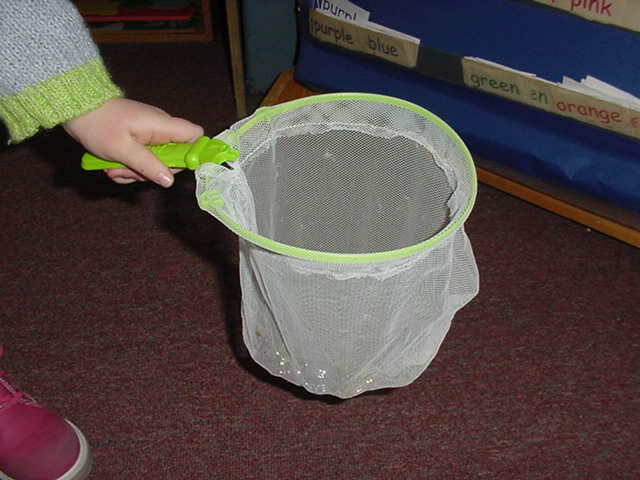 The children then wrote about how to catch them. 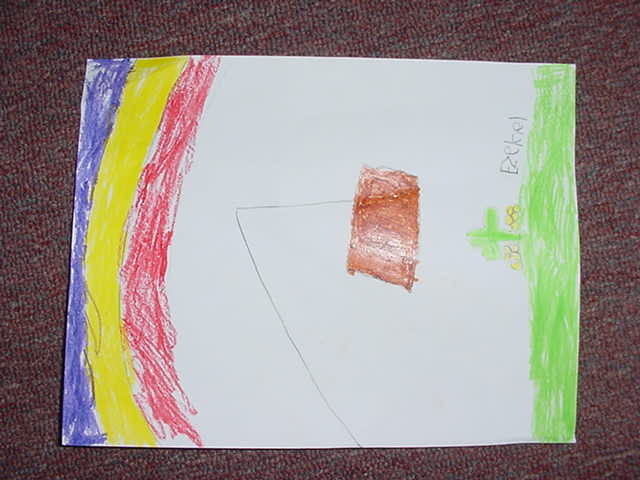 View their writings.